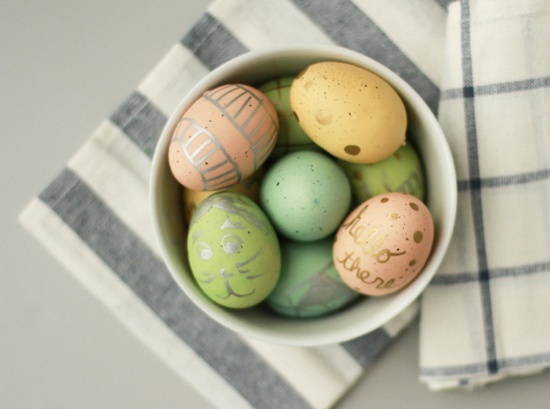 How to make it: Follow the instructions here from my project for Easter eggs inspired by impressionists – painting random patches of color around the entire egg. 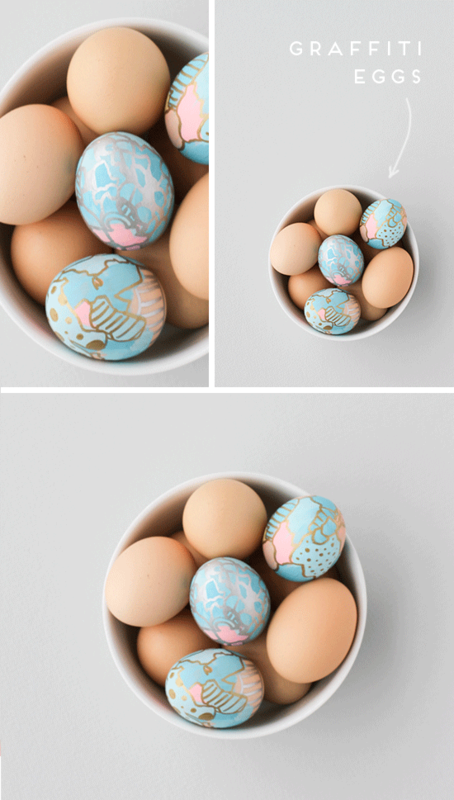 NOTE: Instead of leaving space between the patches of color, like in the Painterly Easter Eggs DIY, cover the entire egg with paint. Once dry, outline the random patches of color with a metallic paint pen, creating different shapes. 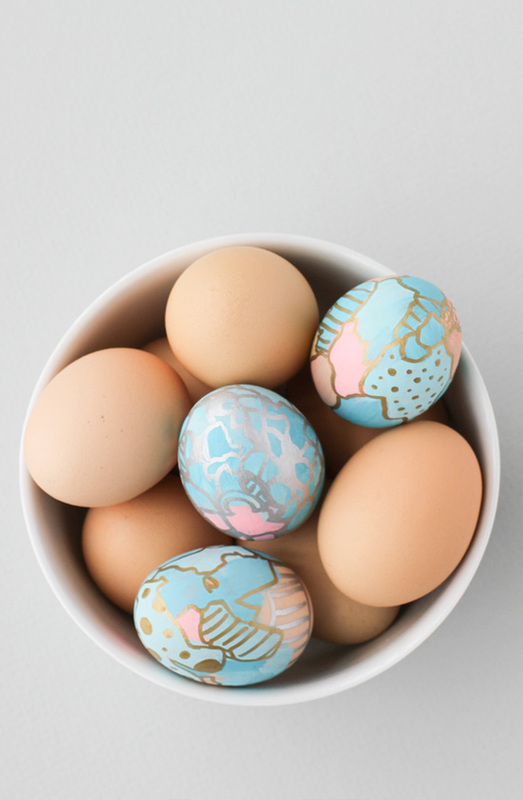 Add decorative elements like polka dots or stripes in different areas. Wait for the eggs to dry. These are great, B! 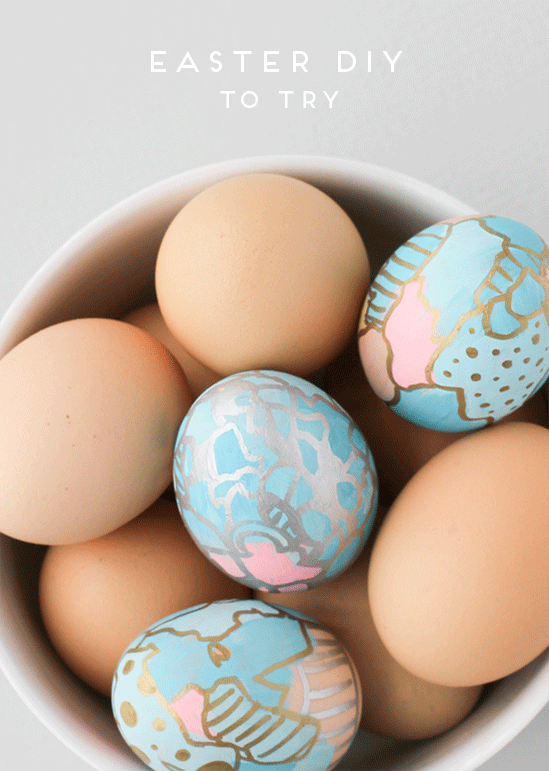 You are just unstoppable with these egg DIYs!! Thanks Kelly. 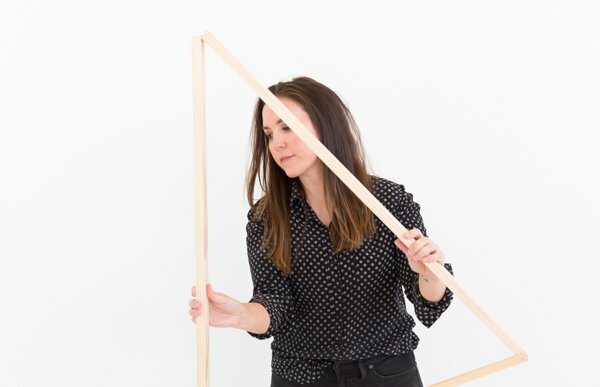 This is definitely the last one…even though I thought the last project I posted was the last one. 🙂 Hope you have a lovely Easter with Jeff. Thanks Magda. Oh, Poland! What’s the weather like there right now? I’ll definitely check it out. Thanks Rue. 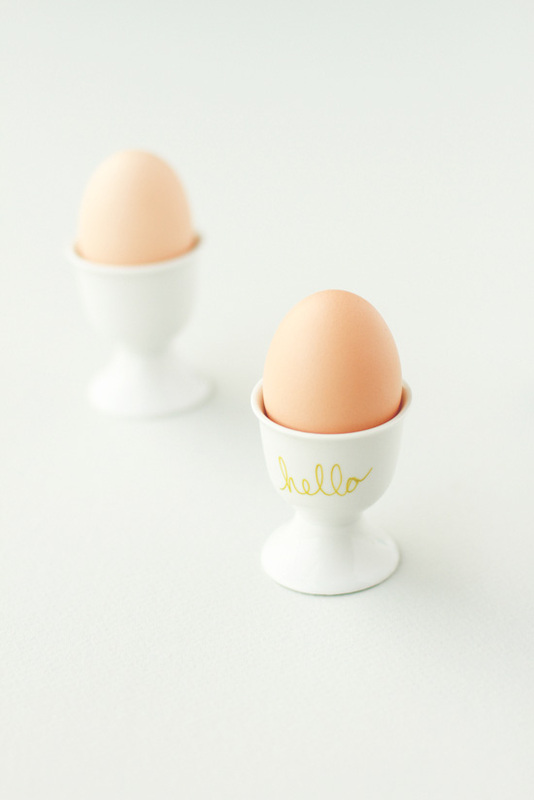 I never thought I would be in love with an egg…but I am! Oh my! Wow, these are very cool. Love the pastel colours with the Metallic. Thanks Alana. Have a great weekend! These are beautiful and looks like it would be a blast to try! I pinned for next Spring! Beautiful! 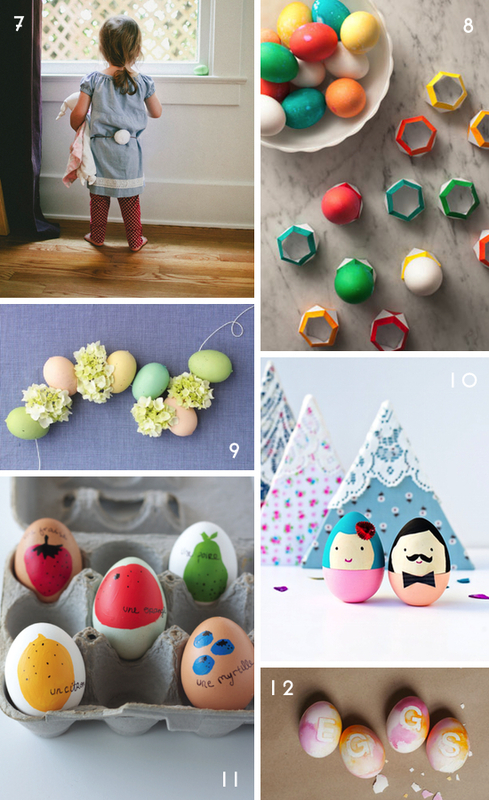 We featured it in our roundup:) Happy Easter!